Add chopped bacon to large skillet and heat on medium heat. 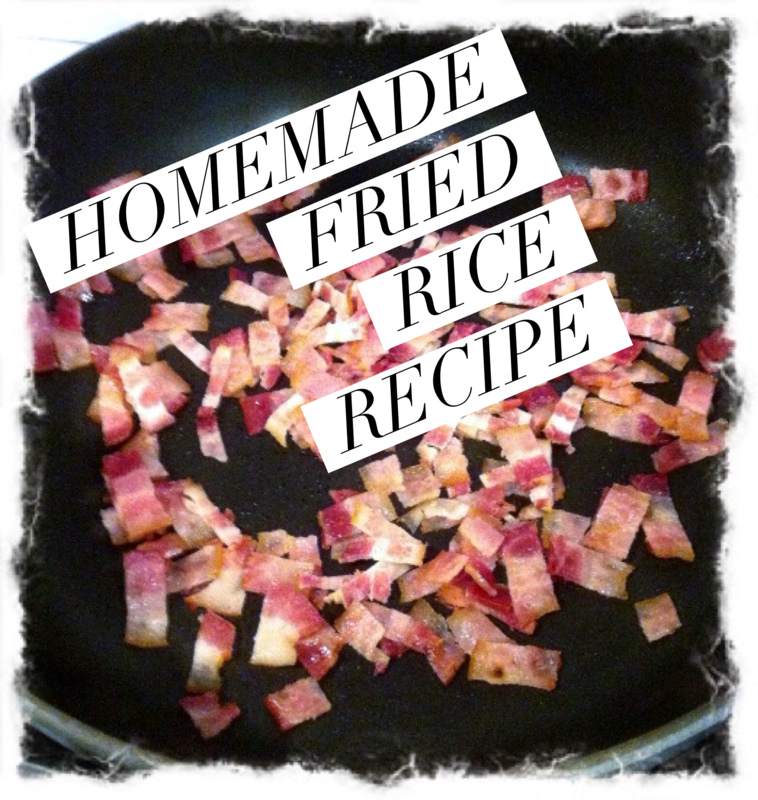 Once bacon is heated or (cooked, if using raw) push to one side of skillet. 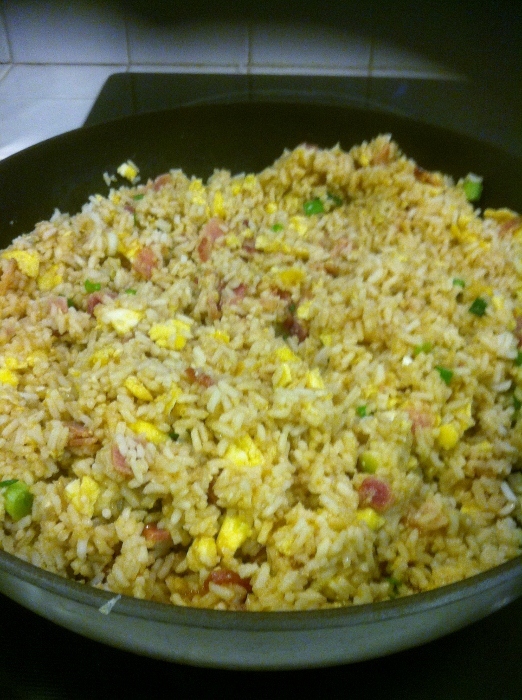 Then add eggs. 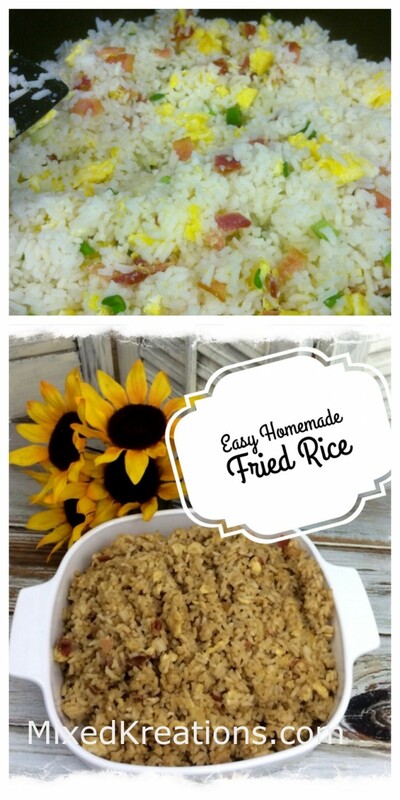 How to make easy fried rice. 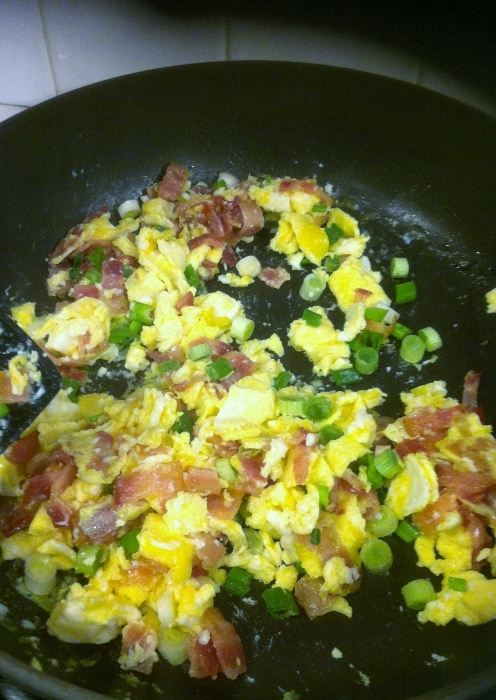 Add chopped onions and mix onions, eggs, and bacon all together. 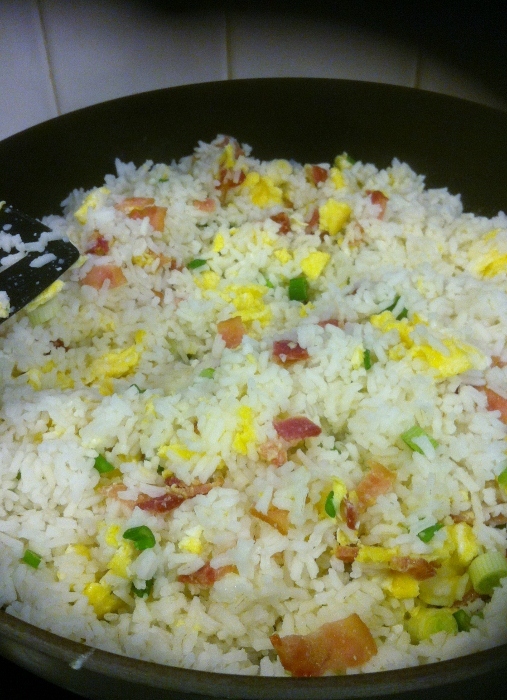 Add cooked rice to skillet and mix. 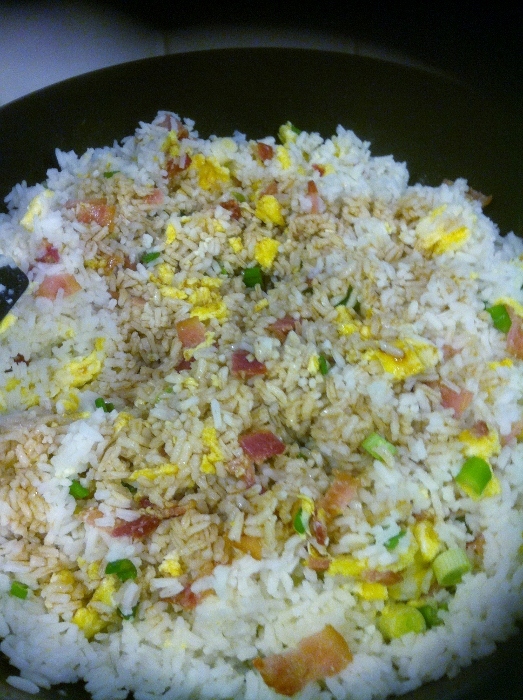 Once everything is mixed together, add the soy sauce to taste (I don’t measure, I just sprinkle, mix, and taste). 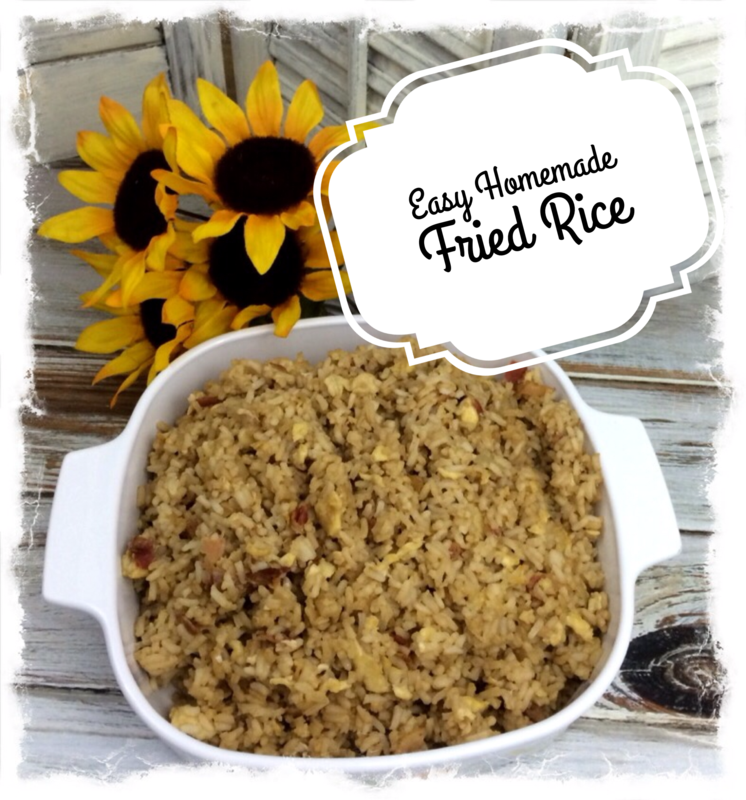 This is a quick and easy way to make homemade fried rice, and it’s good too! 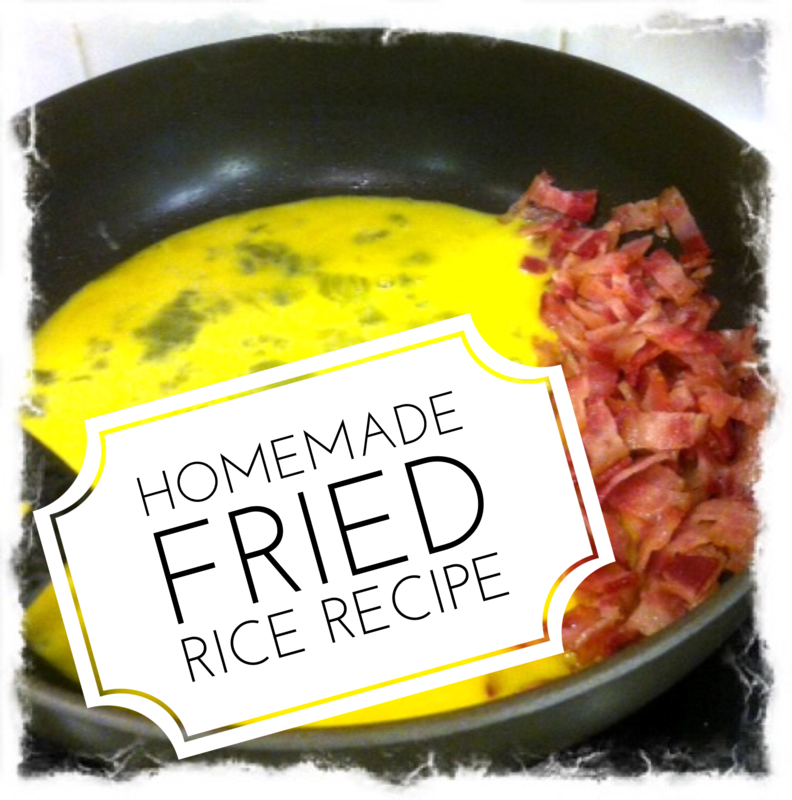 If you enjoyed this recipe, please don’t forget to share it with your friends and/or save it to Pinterest.